Can you believe Easter is only two weekends away? We certainly can’t! If you are hosting a delicious brunch, an egg hunt for the kids or any other festive Easter event, why not roll up your sleeves and add some life and colour to your occasion. Put together some beautiful DIY flowers and decorations to really set the mood this Easter. Although it might sound daunting, it is actually very straight-forward and easy to create beautiful centrepieces and fun decorations suitable for this spring celebration. Embrace the German tradition of decorating some tree branches with brightly coloured eggs and other Easter materials. The branches are usually taken from goat willows and will produce fluffy, flowering catkins. Decorate the branches with plastic Easter eggs hanging from colourful ribbons or get the children involved and have them colour in paper eggs that can be hung from the branches. Alternatively, buy a few colourful, little pompoms and glue these to the branches. Placed in a big vase with water, a bunch of brightly decorated Easter branches will make a perfect centrepiece. Nothing says spring quite like a big vase bursting with colourful tulips. If you have been invited to a family affair this Easter weekend but cannot join the festivities for whatever reason, send a beautiful bouquet of bright tulips. 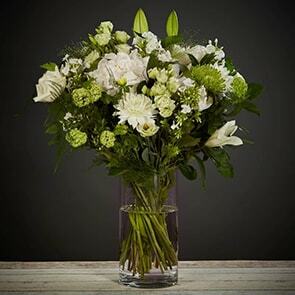 Bloom Magic’s Le Printemps arrangement is the ideal Easter gift. Combining colours of yellow, pink, red and more, these stunning tulips are guaranteed to last a full seven days or more. This means your loved one will be able to enjoy your gesture for days to come. 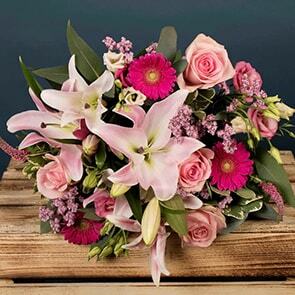 If you love the look of our Le Printemps arrangement, you can make organising Easter brunch easier by having these Easter flowers delivered straight to your own door! If there will be children present, make their Easter Egg Hunt extra special by dyeing the eggs in vibrant colours ahead of hiding them. You can also get your own children involved and include them in the painting process. You can use both brown and white eggs. Buy a special egg-dyeing kit or use food colouring to colour the eggs. You can also use run-of-the-mill watercolours to paint the eggs. Creating stunning Easter egg or bunny garlands is a piece of cake. Either print out little templates on white paper and have your children colour them in or purchase complementing wrapping or coloured paper. Grab your template and trace the shapes onto the paper before cutting them out. Simply glue the figures onto a piece of string or ribbon. You can tailor the paper used to the theme of your party. Go down a shabby chic, contemporary or traditional route – whatever strikes your fancy! 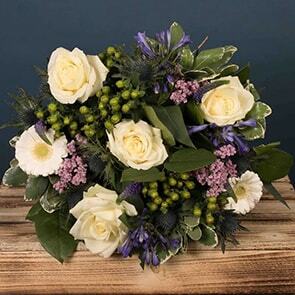 For additional inspiration for Easter flowers and decorations, have a browse through our exclusive online catalogue.